The structure is important to note: All layers being of the same species and made of the same reclaimed teak means that it expands and contracts together as if it were one solid piece. Other manufacturers skimp and use other species or plywood for the substrate causing failure with temperature changes. Thats where ours stands head and shoulders above the rest. 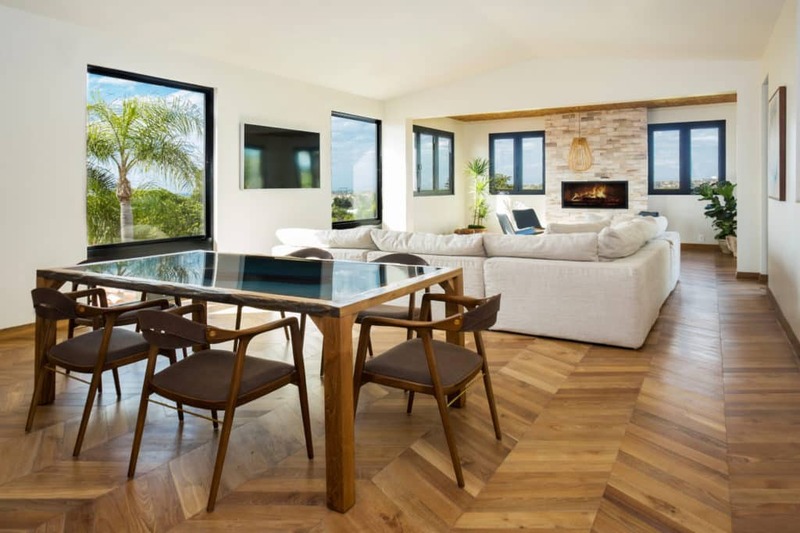 Our one-of-a-kind construction will allow the wood to acclimate and adjust to climates, moisture levels and daily heavy use with minimal maintenance required. The cross grain construction along with the wood that is 100-300 years in age(which means its already true and straight over time) ensures our flooring is strong and lasting for any home, hotel or restaurant its installed in. Guaranteed. 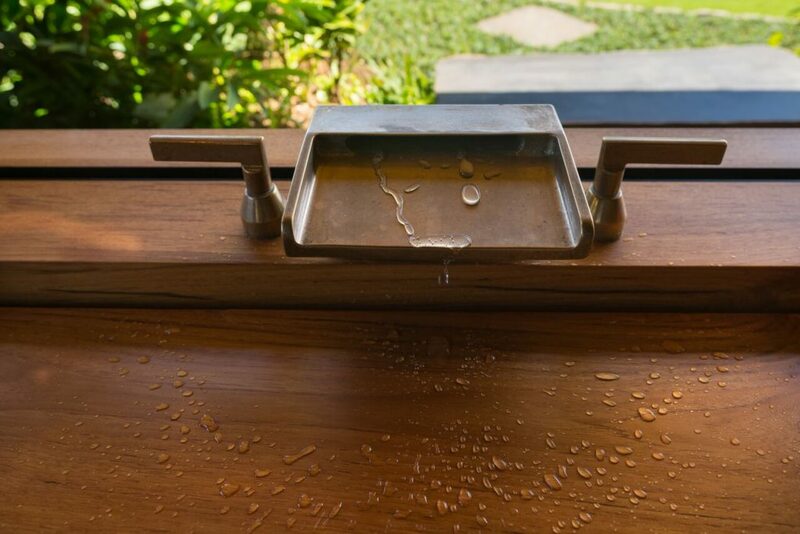 One of the most attractive features of teak is its resiliency to moisture. People have used teak in their ocean-going vessels for over 200o years. The key reason being that teak wood contains a high oil content, high tensile strength and a very tight grain, making it particularly suitable where weather resistance is desired. When used outdoors in the sun, the teak will naturally age and take on a silvery patina that is actually preferred by many clients. For those who don’t want to wait for the aging process, we recommend our Drift finish which makes the wood appear to be grey, making aging process is unnoticeable. Others want to keep their decks looking new and that requires a basic maintenance every 6 months of reapplying an oil coating, keeping the color consistent year round. 80% of all teak grown in the world today comes from plantations. Strict regulations on growth has been placed on teak making it difficult to procure without the proper purchasing permits. Exportation of the wood is limited and which makes getting good teak difficult and reclaimed teak near impossible for the average person trying to start a business. Hence why there is such a small group of people in this industry of responsibly sourced reclaimed teak. Teak remains a desirable wood because it has been proven for centuries to the the best option to withstand the elements. From the 1500’s when people built ships from teak to sail around the globe to your neighbors fancy teak patio set by the pool. 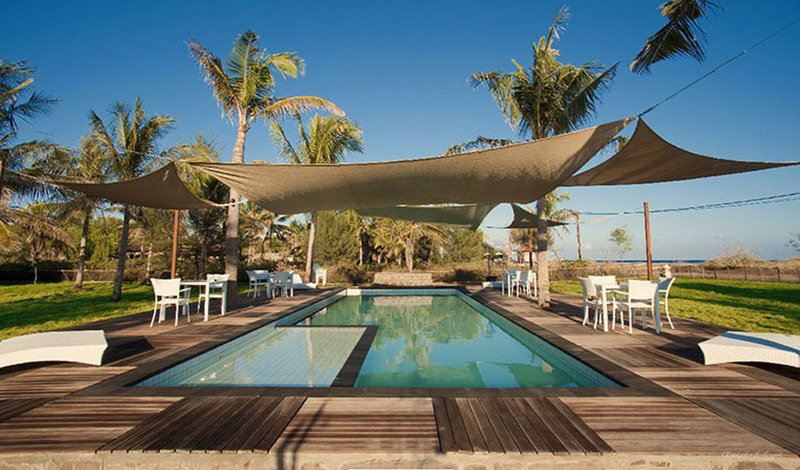 Teak and reclaimed teak especially live and prosper in sun, water, wind and anything nature can throw its way. 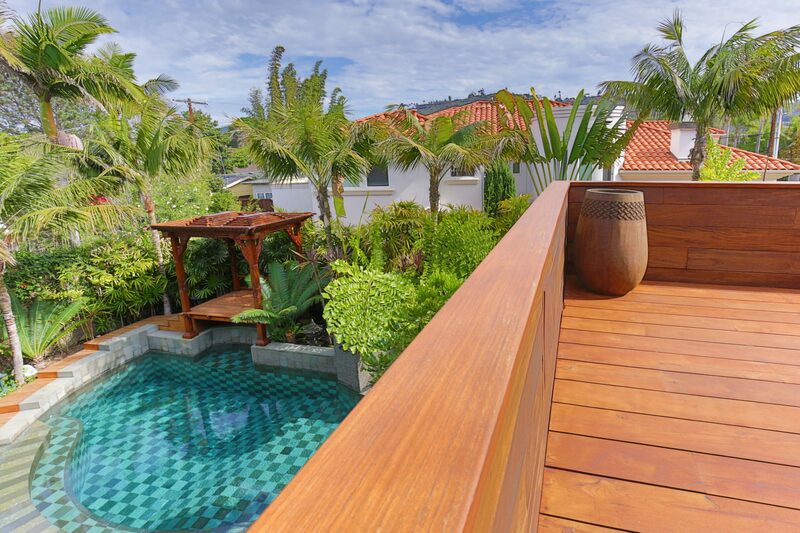 Teak is such a strong timber because it naturally contains silica. What is silica you ask? 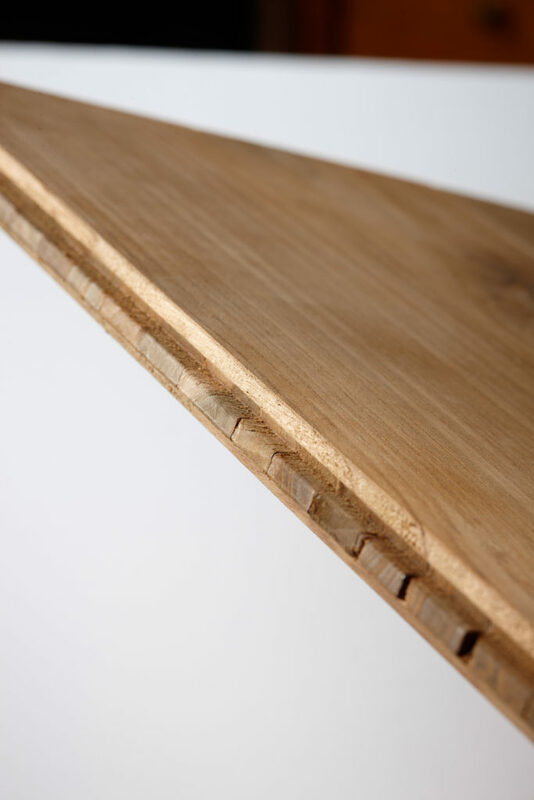 It’s more than the stuff that comes in your new shoe box, silica is what makes the wood impermeably to insects and is often used in sealing the deck of a boat or use on the the flooring of a ship for its slip-resistance. The natural high oil content paired with silica helps teak survive the elements in ways most woods cannot.